Reliving the past of computing. 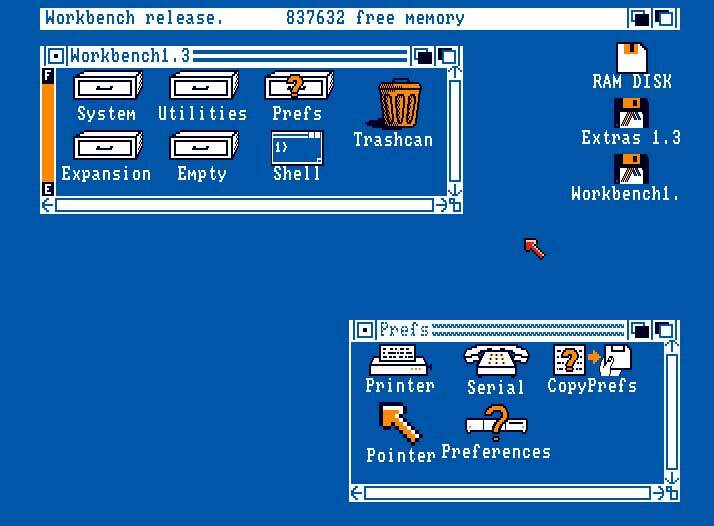 Kickstart/Workbench 1.3 was the last of what I'll call the "White boot screen with hand" releases, referring to the hand with a disk image prompting for a boot disk. 1.3 fixed some large bugs in the OS, including autoconfig for memory boards (no more addmem commands needed), the addition of the Shell (and NEWCON: device), and, most importantly to me and my new hard drive, autoboot from hard drives. 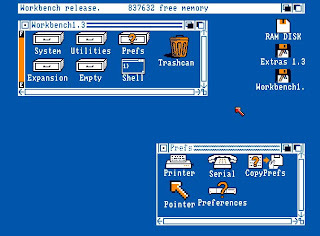 The Fast Filing System (FFS) was also now included in ROM - this made a huge improvement in speed for larger devices, and meant you could boot from FFS formatted disks, including floppies. Visually 1.3 made some strong advances, with a new look to icons but still retaining the 1.x color scheme. Draws still had their isometric 3D look, which I always found somewhat distracting - to me it looked as if they were floating around and isolated, rather than part of a "desktop". The preferences program made some progress also, with some of the key areas now on their own instead of rolled into one mega screen. The RAM disk remained, and a new recoverable (at least from warm boots) RAMB0: device was available. The new device was fixed sizer rather than dynamically sized, so you needed to think ahead to how much memory you wanted to use. The Shell and NEWCON: added command line recall like the big boys as well as some in-line editing. 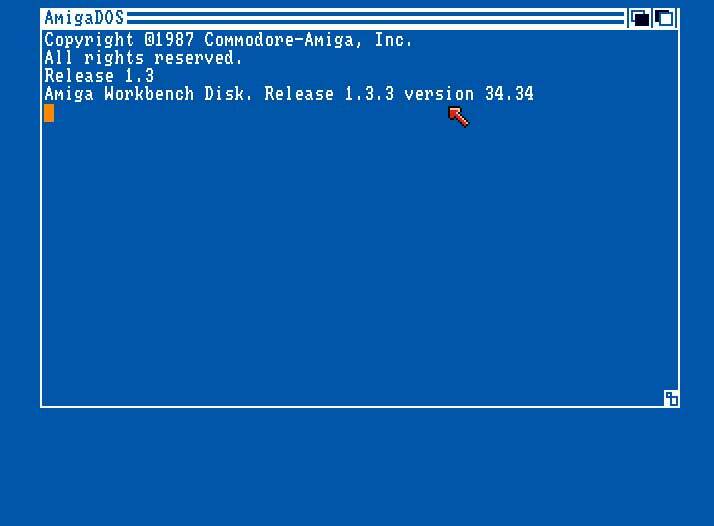 Gone now was AmigaBASIC, a casualty of poor programming by Microsoft. The FD files for 1.3 were included, so you could continue to use programs that relied on the information contained in them. Oh, and KeyToy was now at version 3.5.